Hi all, i have decided to keep the Berlingo and camperise it,,,is that a word, heck must be i said it lol. One thing i want is the front seat/s to fold flat forward, which seats are usually used ? Berlingo passenger seat in a B9 but you’ll struggle with the drivers seat as the steering wheel is in the way! 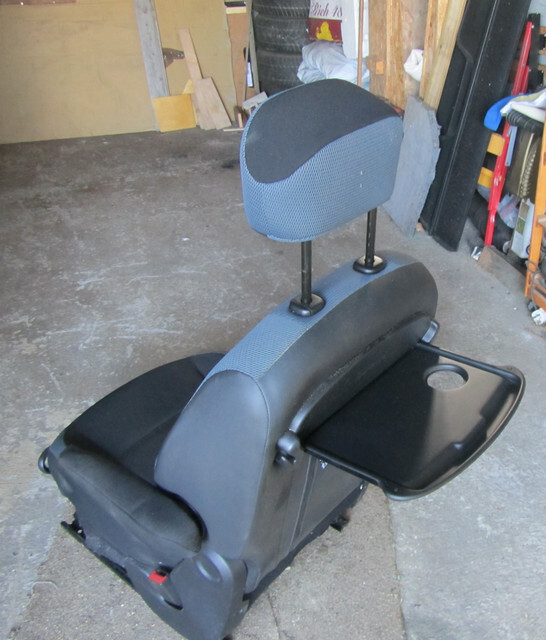 ... and it just so happens that I've got two spare folding B9 front seats for sale, complete with arms and floor mounting frames. Haven't advertised them yet, but was just about to do so. (26-09-2018, 06:51 PM)dumdum Wrote: Berlingo passenger seat in a B9 but you’ll struggle with the drivers seat as the steering wheel is in the way! 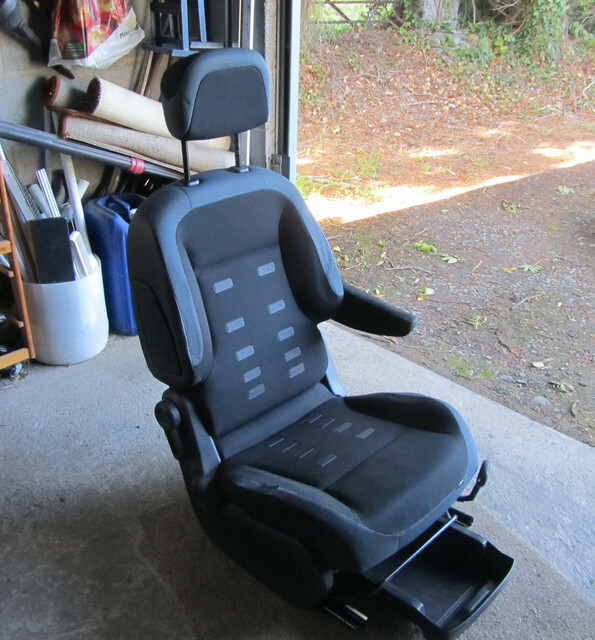 I ddi wonder that about the drivers seat folding flat when i found a pic on google images and both seats were folded flt. (26-09-2018, 07:00 PM)Gravity Wrote: ... and it just so happens that I've got two spare folding B9 front seats for sale, complete with arms and floor mounting frames. And whats the cost matey. as i only need one to fold flat is this a matching set of front seats ? as now i see the drivers does not fold flat so need a matching set. Yep - both matching. From a 2009 Multispace XTR. Both single lever fold flat. With headrests. 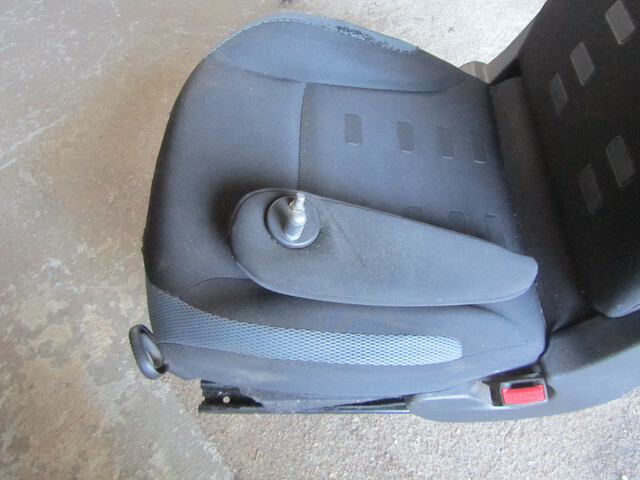 The passenger seat is like new and the drivers seat is showing wear along the outer edge of the bolster. I'm clearing out my garage, and looking for just £60 the pair. Bargain for someone. (26-09-2018, 05:32 PM)WayneO Wrote: Hi all, i have decided to keep the Berlingo and camperise it,,,is that a word, heck must be i said it lol. What year is your Berlingo - 2005 from your other post? If so, the B9 seats may not fit without some faff but it may be worth the effort. 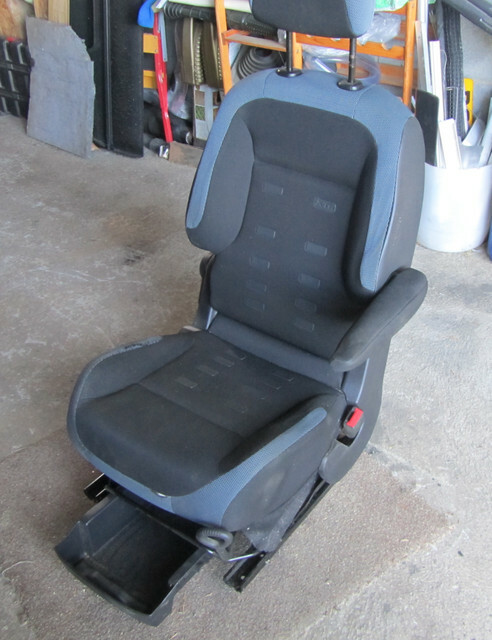 In my 2004 Berlingo, I used a folding seat from a van in the passenger side, the steering wheel is always going to be an issue though so for that side I modified the recliner so the seat tips forward beyond vertical. There are a few posts on that subject so a quick search should show what's needed. Yes it is a 2005 multipace. i could faff bout and make some brackets to fit the base brackets if need be. even if the passeneger folds flat it will be better than not. I am just seeing about getting the to me as gravity is a far bit away from me. The tilting van seats don't have runners or recliners so are fixed but that was no issue. 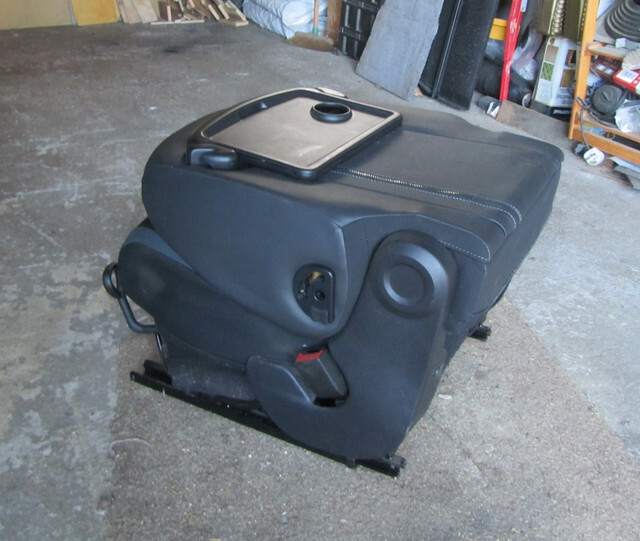 I've kept the seat I bought and will use it in my newer 2008 M59, only problem is that the newer versions of the M59 have airbags in the seats so will wait until after the MOT. All these pics are of the drivers seat, because that's the seat that is showing wear along the side of the bolster. The passenger seat is the same style but does not show any wear. Bit dusty, but no stains. Both seats have folding and detachable armrests, under-seat drawers, picnic tables on rear of seats, and usual headrests. They fold with one movemenrt and lock in the folded position. Hi Gravity, thanks for the pics. I will let them go to another buyer, I have been trying to find a courier but all to much to pay to get them up here. Gutted as they look well.